By establishing the National Footprint Accounts within an independent and respected academic network, the Accounts will become an even more trusted and effective reference for decision making in support of sustainability. 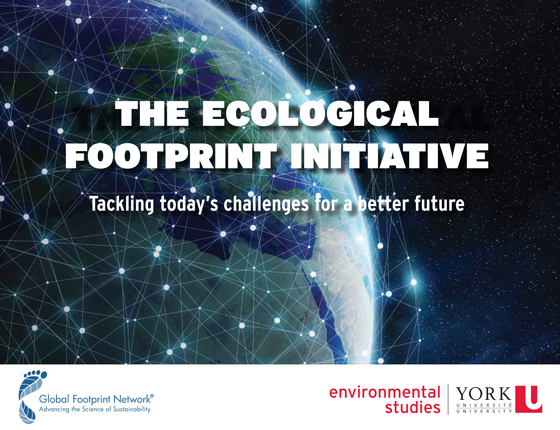 Global Footprint Network and York University, Toronto, are building an alliance of countries (the “One-Planet Alliance“), supported by a rigorous global academic network around the National Footprint Accounts. This new initiative will independently own and produce the Accounts with highest reliability so they can inform public and private decision-making in an unbiased way. It is undeniable that economic policies, urban plans, and investments informed by emerging resource and climate realities are more likely to succeed. National Footprint Accounts derived from solid and trusted data sources and assembled with academic rigor, to ensure they are robust, objective, independent. An international collaboration of researchers who drive the Accounts’ improvements, increase their influence, and strengthen their reputation and applicability so that the Accounts will have greater sway among key decision-makers. A consortium of governments who contribute to and draw upon the Accounts and adopt them as a key tool in their own decision-making. This consortium is called “One-Planet Alliance“. A growing pool of researchers skilled in Footprint accounting who can apply their skills and knowledge to advance a world where all can thrive within the means of our planet. Global Footprint Network and York University, Toronto are motivated by a vision of a world in which all can thrive within the limits of our one planet. York University is looking for Masters Students for this initiative. More information at footprint.info.yorku.ca. to the people who hold your future in their hands.